Singapore Cardfight! Vanguard Online: BT13 is now available !! 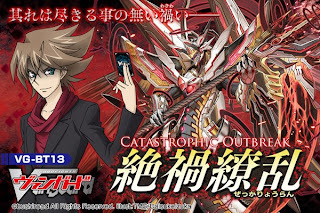 We started this blog into order to allow Cardfight! Vanguard enthusiasts in Singapore a convenient way to look for specific cards that they want without going through the trouble of hunting for them one by one. 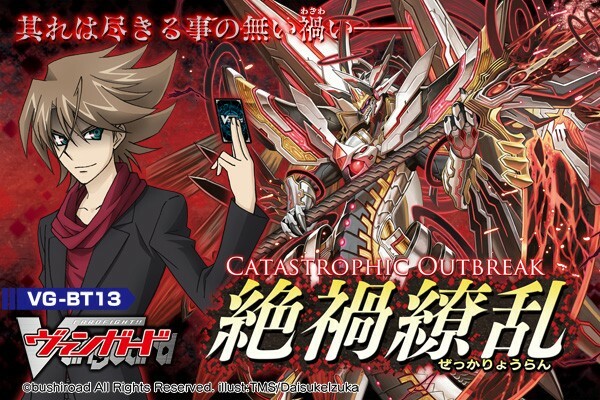 We hope that by doing so, more people are able to enjoy Cardfight! Vanguard in Singapore fully! We also provide a variety of other services such as preordering upcoming products and organising tournaments. Do contact us if you have any queries. Do check back from time to time as we may have special events or promotions. Come down and join us if you can!! Details at the tournament page. If you wish to order anything from us, just send us an email at sgvanguardonline@gmail.com with your request! Friends from overseas! If you wish to buy from us, do contact us as well! BT13 is now available !! Come on down to the shop to get yours now !! Cardfight Vanguard booster packs or boxes bought from this website will not be scaled or tempered with in anyway. As such we are sorry that we do not allow you to choose the packs, they will be selected randomly.